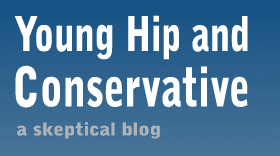 Young, Hip and Conservative: a skeptical blog: Are controller designs done evolving? Video game controllers have had a lot of different shapes over the years, some were relatively similar to each other but the look of Nintendo's newly-announced Wii U pro controller isn't just familiar. It's uncanny. The only functional differences I can see in the shape are the right analog stick and the four-button "face" has been reversed. The "Home" button and "Power" button for the Wii U model are separate, while the 360 has them as the same button. The 360 also displays which slot the controller is taking by lighting a quadrant around the center "Guide button." This is not shown above. 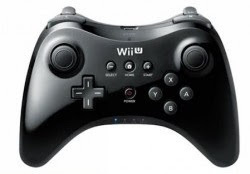 The Wii U model has a different display at the bottom of the controller with one of four boxes lighted. In Nintendo's defense, and this may be the basis of a legal defense if Microsoft pursues a lawsuit, there is such a thing as convergent evolution in nature, so why not in technology? The gentle slopes at the bottom fits human hands of different sizes. Many modern games require two analogue sticks and a directional pad. The Super Nintendo controller had a four-button face and two shoulder buttons up top for the index fingers. The Xbox 360 may have drawn its inspiration from that and added the two trigger buttons under them. Those triggers are now universal. Maybe this design of eight buttons spread across two fingers and a thumb is the end of the line for controller shapes, much the way crocodiles and dragonflies reached a point of evolutionary stability millions of years ago. 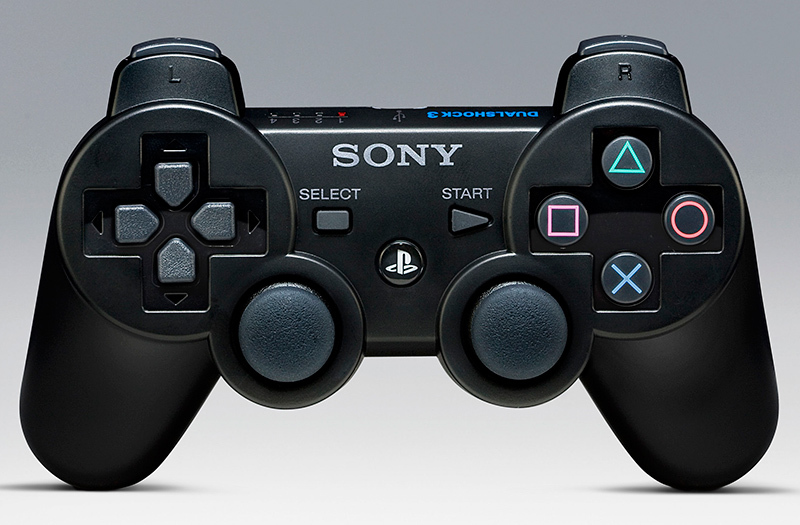 The differences between the Playstation 2 and Playstation 3 were minor in terms of button layout. Maybe we're at the end. The current console generation saw the introduction of motion controls, so perhaps engineers will focus on improving those and let controller shapes stay where they are. You evolutionists make me sick! Similar design points to a common creator. This business of convergent evolution through natural selection is nothing more than an attempt to erode the core values of gaming. If only our video game stores would teach controller creation side-by-side with your THEORY of evolution, the state of gaming wouldn't be so disastrous! The Nintendo 64 controller wasn't so different from these designs either.